Our 100 Greatest has ignited debate about who really is that No.1 maroon sporting legend of all time and how the achievements of our champions compare across a diverse range of sports. Here we reveal those ranked from 20 through to 11 - choices sure to spark controversy with sports fans across the state as we continue the countdown over the next few days. 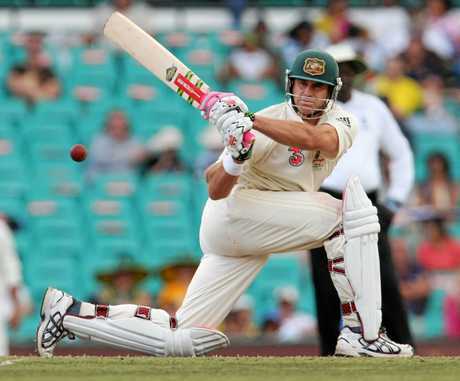 A powerful and aggressive left-handed opening batsman, the Kingaroy-born champion formed an all-conquering opening partnership in Test cricket with Justin Langer and in one-day internationals with Adam Gilchrist. In Queensland's first Sheffield Shield triumph in March 1995, he hit 74 in Queensland's match-winning 664 and his 380 against Zimbabwe in 2003 was at the time the highest score ever in Test cricket. It remains the highest score ever by an Australian. Hayden played for Queensland from 1991 to 2009 and also played in England for Hampshire and Northamptonshire before a stint with the Chennai Super Kings and the Brisbane Heat. He made his Test debut in 1994 against South Africa in Johannesburg. He struggled for some years to find a regular spot in the Australian team but from 2001 went on a run when he hit more than 1000 runs in Tests for five consecutive years and was one of Wisden's five 2003 Cricketers of the Year. Statistically Hayden is the best opener Australia has ever had. He was the tournament's best batsman as Australia dominated the 2007 World Cup in the West Indies, scoring three centuries before the semi-finals. Glynis Nunn closes in on Judy Livermore at the 1982 Commonwealth Games in Brisbane. The prestigious American magazine Sports Illustrated named Jackie Joyner-Kersee the greatest female athlete of the 20th century yet Nunn beat her for the heptathlon gold medal at the Los Angeles Olympics in 1984, effectively making her the best all round women's athlete in the world. After six events, the heptathlon gold came down to the final race, the 800m. Nunn had to beat Joyner- Kersee by 2.5 sec and had to be within touch of the German hope, Sabine Everts, who was the best 800m runner. And she did it in a huge upset . Nunn's early days were spent at Haig St in Toowoomba, at the bottom of Gold Park. She loved running from the time she could remember and she used to slide down the big hill there and run back again and again. She joined the local running club at nine and went from there. 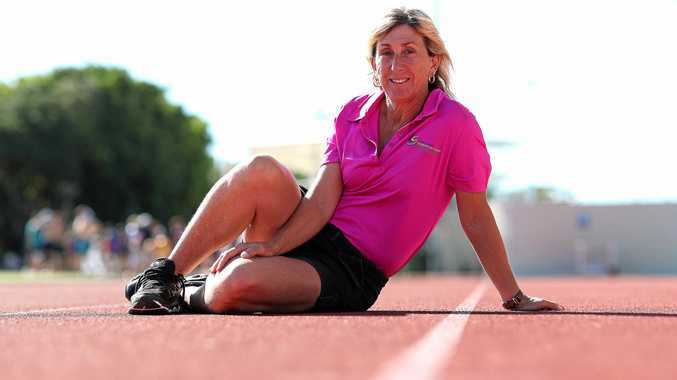 At the 1982 Commonwealth Games in Brisbane the 21-year-old flagged her intention to conquer the world by winning gold in a big upset against English favourite Judy Livermore. Two years later in Los Angeles she continued her run as the giant killer of women's sport. Greg Chappell made quite the impression in 1970. Born in Adelaide as the grandson of former Australian cricket captain, Vic Richardson, Chappell played for Queensland from 1973-1984. Richie Benaud described his batting as "beautifully elegant with wonderfully executed strokes". His cover drives were as sweet as honey and when he retired he held the world record for the most number of Test catches. Elder brother Ian and younger brother Trevor also played for Australia, and Ian and Greg both had long stints as Test captains. Greg made a century on his test debut against England in Perth in 1970 and he and Ian became the first brothers to score Test centuries in the same innings when they shared a big partnership against England at the Oval in 1972. 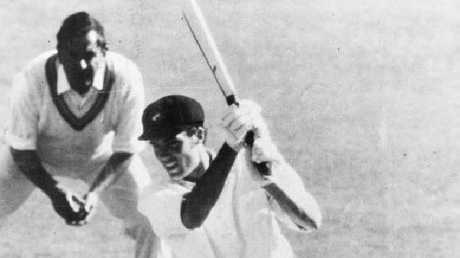 Greg succeeded Ian as Australian skipper and celebrated with a century in each innings to win the first Test against Clive Lloyd's West Indian team in Brisbane before leading the team to an overwhelming 5-1 series win. The Chappells were key figures in World Series Cricket and Greg played his last Test in January 1984, making 182 against Pakistan. He was the first Test batsman to score centuries in both his first and last innings. 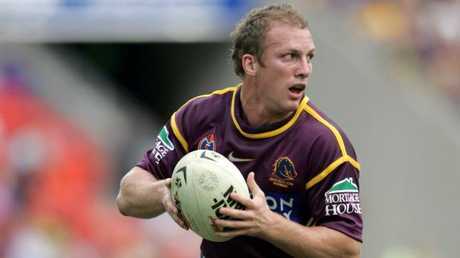 During 17 seasons with the Broncos Lockyer broke many records for his club, Queensland and Australia, including most NRL appearances, most State of Origin appearances, most games as Queensland captain and most tries for Australia. Playing at fullback as a speedster who moved the ball around like a second five-eighth, Lockyer won three grand finals including a Clive Churchill Medal in 2000 for best player on the ground, a World Cup with Australia, and the Golden Boot Award for the world's best player. He was named in Queensland Rugby League's Team of the Century at fullback. He switched positions to five-eighth in 2004 and went on to win a fourth grand final with the Broncos, a further five State of Origin series and a second Golden Boot Award. Born in Brisbane, he played Aussie rules for 10 years but switched to rugby league after his parents moved to the Wandoan area, 400km north-west of Brisbane. He worked as a bartender at the Broncos Leagues Club to make ends meet when he first came back to the city to play league but went on to become the cornerstone of the club after making his first grade debut in 1995. He won the toughest event in swimming, the Olympic 1500m, twice - going back-to-back in 2000 and 2004. The Athens win was secured with a collapsed lung due to a bronchial infection. Hackett is a policeman's son from Southport. He attended Merrimac State High School and first came to national attention aged 17 the Pan Pacific Championships in Japan where he won the 400m, 800m and 1500m gold medals. From 1997 to 2007 Hackett was unbeaten in the 1500m winning it at every major world competition. 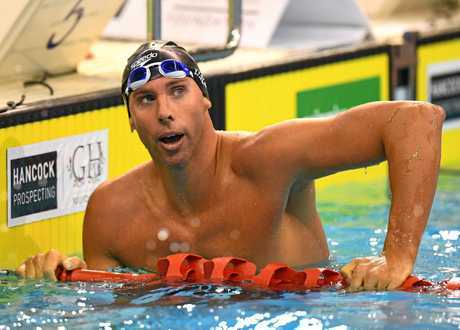 He established himself as the 1500m star of the future by winning the 1998 World Championship in Perth and the Commonwealth Games in Kuala Lumpur but he was a weapon over shorter distances, too, and in 1999, set his first world record, in the 200 m freestyle while leading off his club relay team at the Australian Championships. At the 2000 Sydney Olympics he relegated Kieren Perkins to silver by taking a more aggressive approach. Four years later he broke the Olympic record to win gold again. Trying to become the first man to win three consecutive Olympic 1500m gold medals, he finished second in Beijing to Oussama Mellouli of Tunisia. Johnathan Thurston steered the Cowboys to their first premiership. The statistics are staggering but one piece of magic in the 2015 grand final says it all. Playing in golden point extra-time against the Broncos, Thurston kicked a field goal in the 82nd minute, securing the Cowboys' first premiership. 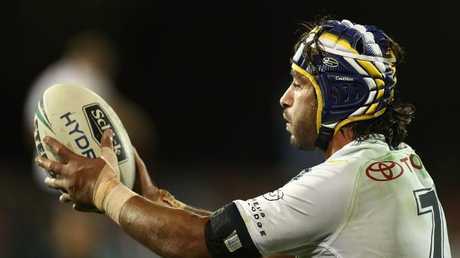 Thurston was named the Clive Churchill Medal man of the match in the 17-16 win. A few weeks later he won the coveted Golden Boot Award given to the world's best player, for a record third time. In an astonishing career he won the Dally M Player of the Year four times (another record), Halfback of the Year four times, Five-eighth of the Year three times and Captain of the Year in 2015. Born in Brisbane, Thurston began playing rugby league for Souths Sunnybank and then in Toowoomba. Despite brilliant form, most NRL clubs thought he was too small to make it in their competition until he became a standout player at the Bulldogs in 2002, helping them to the 2004 premiership before moving north to join the Cowboys. 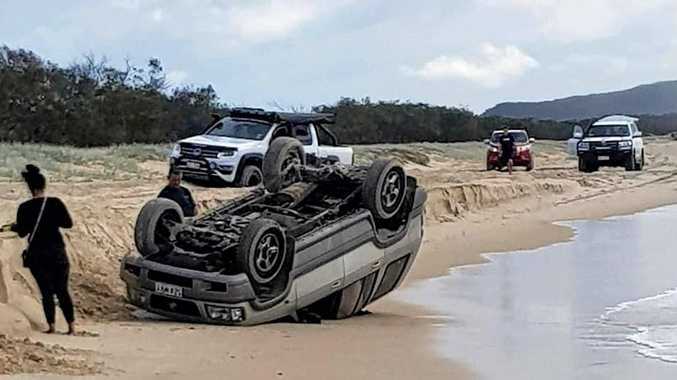 He scored a record 220 points for Queensland and was the only player to appear in all 24 games during Queensland's eight-year State of Origin winning streak from 2006. At just 30 years of age Webb became the youngest golfer to be inducted into the World Golf Hall of Fame. Born in the sugar town of Ayr in North Queensland, the best female golfer Australia has produced started playing the game aged eight and represented Australia as an amateur. She turned professional in 1994 aged 19. A year later she became the youngest ever winner of the Women's British Open and in 1996 was a runaway winner for LPGA Rookie of the Year. She surpassed $1 million in earnings that year, a first for the LPGA Tour and a first for a rookie on any tour. Webb was named the LPGA Player of the Year in 1999-2000. During her career she has won an astonishing 41 times in the LPGA alone. She has finished in the top 10 of tournaments 207 times and in 2002 became the first woman to win a "super career Grand Slam" - winning every available major. In 2006 after a slump for several years, she won five tournaments, including her seventh major at the Kraft Nabisco Championship, beating Lorena Ochoa in a playoff. In 2013, Webb won the Australian Ladies Masters for a record eighth time. 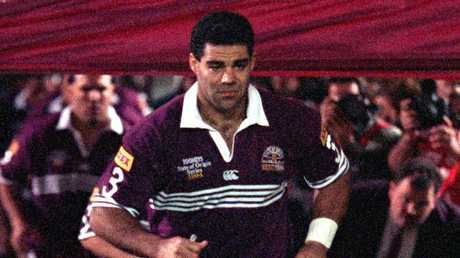 Mal Meninga leads out the Maroons. The only player picked to tour with the Kangaroos four times, Meninga led his state to Origin victories, his country to Test wins, and then turned up and did the same thing as coach of both Queensland and Australia. He retired with the most appearances in the history of the Australian national team and the top-pointscorer ever in State of Origin football. Born at Bundaberg he finished his education at the Queensland Police Academy and served as a policeman until 1985. He made his first grade debut in the Brisbane Rugby League premiership at the age of 18 with Souths Magpies and in 1980 played in Queensland's victory in the first State of Origin match, kicking seven goals from seven attempts. Meninga helped Souths to win the Brisbane grand finals in 1981 and 1985. After a stint with English club St Helens he turned out for the Canberra Raiders, leading them to the 1989 Premiership by beating the Balmain Tigers in an extra time thriller. Another Premiership came against the Panthers the following year. 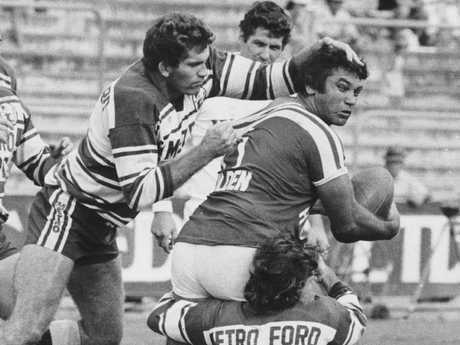 Meninga's last game for the Raiders came as he led them to a third grand final triumph over the Bulldogs. Mick Doohan won five world championships. Despite suffering permanent damage to his right leg in a 1992 motorbike crash, Doohan won five consecutive world championships. Only Giacomo Agostini with eight (seven consecutive) and Valentino Rossi with seven (five consecutive) have won more titles in the top class of his sport. It took another bad leg break to end his career in 1999 after yet another crash at a wet qualifying session for the Spanish Grand Prix. Doohan was born on the Gold Coast and educated at St Joseph's College, Gregory Terrace in Brisbane. One of the few 500 cc or MotoGP World Champions to have won a Superbike World Championship race, he made his Grand Prix debut for Honda in 1989. He appeared to be on his way to winning his first world championship in 1992 when he was seriously injured in a practice crash before the 1992 Dutch TT at Assen. Doohan suffered major damage to his right leg and due to medical complications at one stage faced amputation. He struggled for a year to overcome the injury but in 1994 won the first of five consecutive world championships. 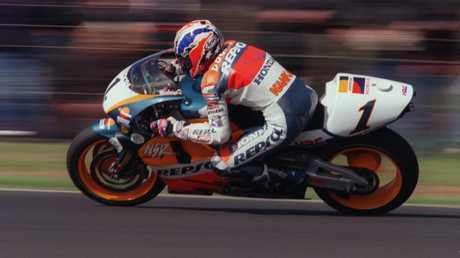 In 1997 Doohan won 12 out of 15 races, finished second in another two. He crashed in the final race of the season while leading by more than six seconds. Artie Beetson on the charge for Redcliffe. In 1973 he became the first Aborigine to captain Australia in any sport and he was the Maroons captain in the first State of Origin game in 1980. He was named as a Rugby League Immortal in 2004 and chosen in the Queensland Team of the Century and the Australian Team of the Century. Born at Roma, he was a fast-running prop with a great off-load who first hit the headlines at Redcliffe in 1964. After helping the Dolphins to the Brisbane Rugby League Premiership in 1965 he moved to the Balmain club in Sydney and played in the grand final that year against St George. He scored two tries in Australia's 1968 World Cup triumph against France. Her played for Hull Kingston Rovers in England before joining Sydney's Eastern Suburbs Roosters where he played from 1971-78, leading them to the 1974 and '75 Premierships. In the second Test against France on the 1973 Kangaroo Tour, Beetson became the first Aboriginal player to captain Australia. He joined Parramatta in 1979 and ended his playing career as captain-coach back at Redcliffe before coaching Queensland, Australia, the Roosters and the Sharks.